One of the most important voices in British television, Dennis Potter’s work became synonymous with bold, unconventional drama through the late sixties through to the early nineties. Across June and July, BFI Southbank celebrates the work of this true original to mark the 20th anniversary of his death with a full retrospective that will continue in June/July 2015. Potter’s career began with the BBC, working on the anthology series The Wednesday Play, where his semi-autobiographical plays Stand Up, Nigel Barton! and Vote, Vote, Vote for Nigel Barton were early, controversial successes for the screenwriter. In the former, adult actors perform as children in a break from the realism that was to become a trademark of Potter’s work, as the eponymous Nigel, a miner’s son, finds his values tested when he is admitted to study at Oxford. In the latter, Nigel is now standing as the Labour candidate in an upcoming by-election and again finds himself compromised by a system larger than himself. 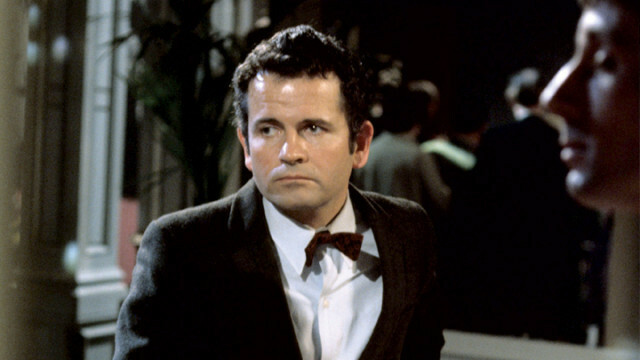 Moonlight On The Highway provided an early role for Ian Holm, here playing a man obsessed with the music of Al Bowlly but privately consumed by guilt at the sexual abuse he received as a child. Notable for being the first example of Potter’s use of popular music in his work, it also served as the template for his acclaimed Pennies From Heaven, also screening as part of this season. Featuring the late Bob Hoskins as a music salesman who becomes fixated on another woman after his marriage grows stale, it’s a dark fantasy drama with a musical component, as its cast mime to pop songs, a device Potter would later use in The Singing Detective. Continued next year, this first part of the BFI’s Dennis Potter retrospective offers a glimpse at one of our most enduring screenwriting legends. The first part of BFI Southbank’s Dennis Potter retrospective begins today and ends on 30 July. Tickets can be purchased from the BFI website.